CrossFit is not all about the high intensity workouts. It is about managing a healthy lifestyle and all that comes with it. Exercise has been researched to decrease the chances of heart disease, diabetes, and many other chronic diseases. Weight lifting has been researched to increase bone density, boost your metabolism, and even provide better sleep! On your way to work? No problem. On the way home? No problem. Exercise has been researched to increase serotonin levels, leaving you in a better mood! Jump start your day with a workout, or end your day with a workout, either way, you’ll leave feeling better than ever! 5. Nothing Is Stopping You! For real, though. What is stopping you? You have a chance to get into the greatest shape of your life, meet new people, and have fun. So why not join? Don’t be intimidated by what you see online or on TV. 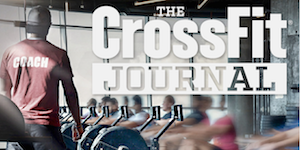 CrossFit Current will make CrossFit for ANYONE and EVERYONE. So why not join? You may be working out, but when you’re in a group class everyone is feeling the same pain! CrossFit allows you to bond with your fellow athletes. Remember being on a sports team and that feeling of your teammates on the sideline or out on the field with you cheering you on? Well, that is how every CrossFit class is like. Fun and Motivating. A lot like a sports team, you become a family, a community. Sure, you can come to the workouts, finish, and then leave, that’s totally okay! But, if you want to grab a beer and rehydrate yourself after a WOD with your fellow CrossFitters, you will never be alone.